Okay, no, there was no tragedy. 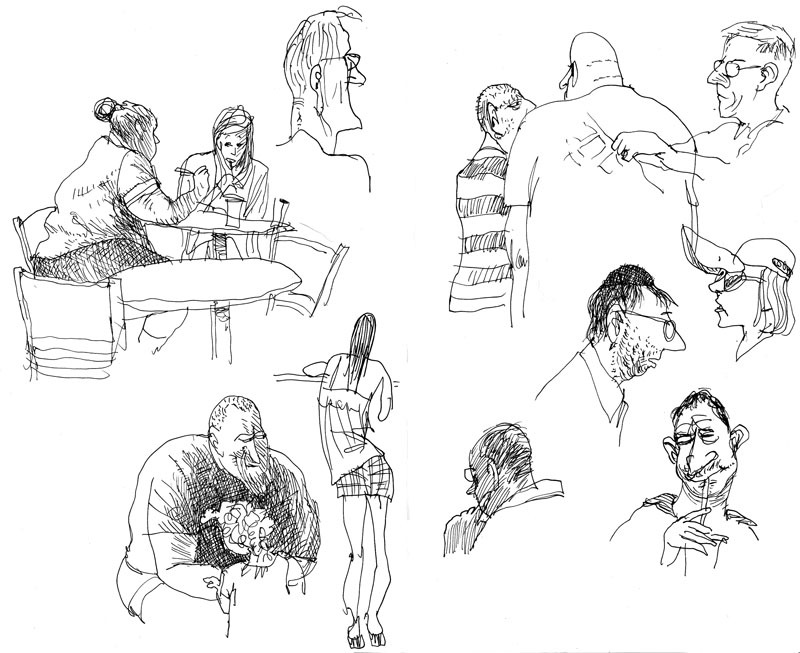 It's just another bunch of coffee shop drawings. I just wanted to add a little spice to it, make it seem like it wasn't more of the same old stuff. I see now that it was wrong of me. So, like, I'm sorry, okay? Oh, here's a larger version of this terrible hoax of a picture, right here. June 15, 2008 by Walt Taylor.